The Three Wolves tee meme was one of my favorites of the past few years. 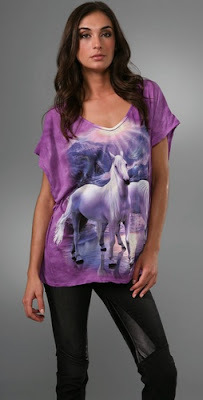 Well, this unicorn tee kinda has the same hilarious feel, except the makers are aware of said hilarity. Now, whether that's worth the $88 price tag at ShopBop is up to you!